Today begins a long weekend of guitar related posts starting with a great set of solo recordings that range from the acoustic to the very electric. The adjective that repeatedly comes to mind is 'otherworldly'. Baltimore's Susan Alcorn has a concept and approach to the pedal steel guitar that rips the instrument out of its typical role and casts it in a whole new light. 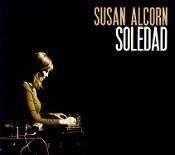 On Soledad she takes it one step further as she arranges the work of the Argentinian composer and accordionist Astor Piazzolla, who was renowned for his compositions that combined tango, jazz and classical. Alcorn draws an expansive set of sounds from her instrument - from comfortable country glissandos to Theremin like science fiction noir effects. The shimmering earnestness of the instrument is used to full effect in her arrangements that probe the depths and textures of the songs. The stately title track begins with her guitar sounding much like an organ. The melody, delivered in a slow, dark, and deliberate manner grabs and tugs at the heart. The following 'Invierno Porteno' also begins enshrouded by dark clouds but they soon part to the rhythms of the tango. Throughout the recording we hear Alcorn deconstructing, examining, and then reprising the songs, unhurried and always mindful of the original melody. Bassist Michael Formanek joins on Alcorn's composition "Suite for Ahl". Switching between plucking and bowing, his playing adds a weight to the guitars more ephemeral abstractions. For something completely new and challenging, but still accessible, and again, otherworldly beautiful, give Soledad a listen. I hope we will be hearing more from Alcorn soon. Ross Hammond's Flight finds the guitarist taking a departure from the trajectory of his free jazz quartet work with adventurous players like Vinny Golia, Stuart Liebig and Alex Cline, and the larger band composition that he assembled for last year's expansive Humanity Suite, and getting back to the roots of just his 6 and 12 string acoustic guitars. Certainly drawing inspiration from archetypes like Robbie Basho and contemporaries like James Blackshaw, Hammond arranges traditional chestnuts (Nobody Knows the Troubles I've Seen, You Are My Sunshine, On the Rock Where Moses Stood) and his own contemporary pieces (Womuts!, Seven Years Later, I Still Remember You) brings to them a spark, energy and earthiness that anyone who appreciates the magic of the acoustic guitar, in the right hands, will enjoy. Hammond's solo playing is fresh and flowing and he varies the rhythmic patterns and chord voicings with care. Some standout moments include the syncopated rhythms of 'Alecia' and the dar and brooding 'Nobody Knows the Trouble I've Seen'. The latter delivered in a way you've probably not heard before, featuring some devastating slide work. 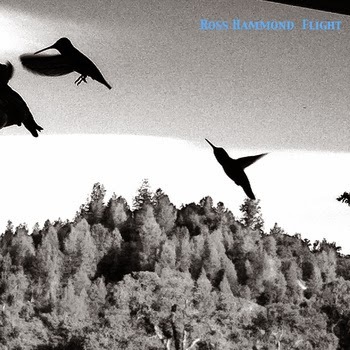 Flight was made on a handheld digital recorder, incidental background sounds (like Hammond's family) can be heard behind the rich tone of his guitar. Lovely. Downstairs at the Jazz Standard, cast against the steel blue walls and red velvet covered sound tiles, Julian Lage's trio with bassist Scott Colley and drummer Eric Harland delivered a masterful set. There is an effortless connection between the guitarists physical being and the music coming out of him - the guitar is simply an appendage. Whether luxuriating in the folky whimsy of Harlem Nocturn - Lage sounding a bit Frisellian on an eggshell telecaster, or getting into the knotty trio arrangements of tunes from his solo album, there is a hypnotic interplay between the musicians. Stepping back from this trio work, Lage's duo work of late - with both pianist Fred Hersh and Nels Cline - has produced some wonderful musical moments. So, where does one go after the intimate conversational quality of a duo? One direction is to go even more intimate - a solo album. 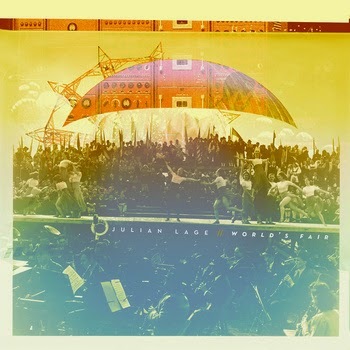 Contemplative, austere, thoughtful yet still encompassing the vigor of the duo work, World's Fair is a highly recommended album for fans of solo guitar work based in a more classical approach. Precision and focus are palpable forces at play, and in Lage's hands these qualities add to the openness and tunefulness of the music. From the opener '40's' where open chords and contrapuntal bass notes ease the listener in, to the rhythmic playfulness of 'Peru' or the folk leanings of 'Missouri', and finally to the subversive tones woven into 'Double Stops', Lage leaves no feeling unexplored. Wistfulness, yearning, contentment and determination all play wonderfully in Worlds Fair. 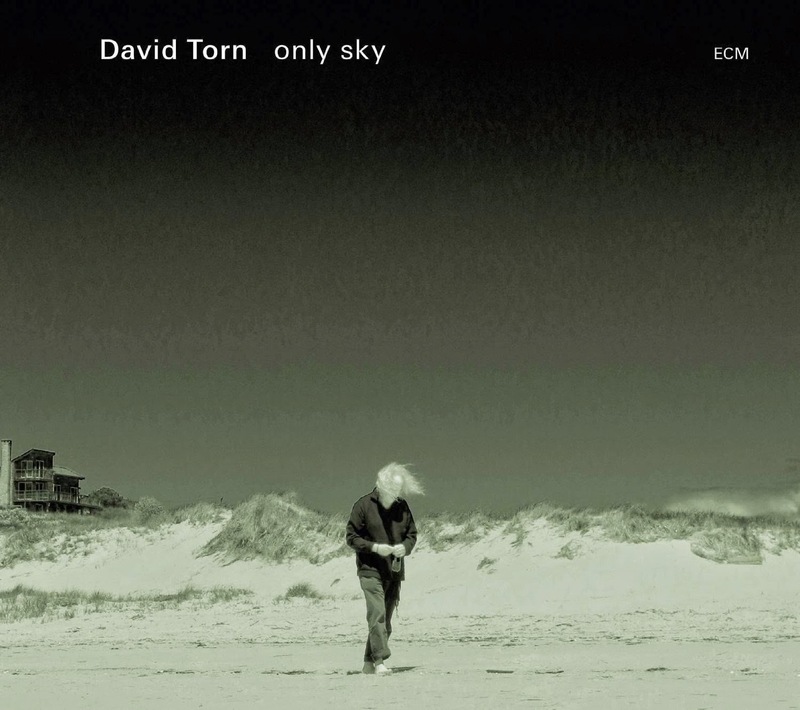 Experimental guitarist, sound sculptor and producer David Torn doesn't release a lot of records under his own name - Levin, Torn, White was from 2011, and his previous ECM release Prezens was from 2007. However there's a good chance you can hear his work on soundtracks, in commercials and as a producer of many recordings. A master of effects and studio work, one can be pretty sure that even a solo guitar effort is not going to be a straightforward offering. That notion is certainly supported by the atmospheric opener 'At Least There Was Nothing' where the combination of effects, the electric oud and guitar come together in a slowly unfolding and rather spooky way. The preconception falls apart a bit during the gorgeous 'Spoke With Folks', an evocative song with a folk like flavor that eventually turns into a loop laden improvisation. On 'Ok, Shorty' a crystalline melody is etched on a shimmering background, the dark textural shadings create a melancholic tension that blankets the track. Next comes along 'Was a Cave, There ...', a 12 minute expanse of bubbling electronics and fragmented loops. 'I Could Almost See the Room' contrasts soaring melodic lines with droning loops and the spectral and beautiful title track proceeds at deliberate pace, punctuated with sharp attacks and lulling spaces. Torn's music has a pulse of its own, outside of meter and groove, as space, time and texture are used shape the provocative tracks. He uses minimal prerecorded materials, opting to create his collages of song and sound in real-time. Only Sky is a dark and moving album, a lovely document from an artist from whom we both hear a lot, and not enough. Haven't heard the latest David Torn but he always turns up with something interesting. I guess he's (sort of) the Jimi Hendrix for adult listeners. One of the best things he did was a performance by the Prezens band at the Vortex which was broadcast by the BBC. At the time Torn said it was better than the album and he'd like to see it as his next release, but as far as I'm aware it never happened. Thankfully, I recorded it. I should have said Joe - you have mail.